As our extant world grows older in years, so is our development upgrading. The wealth of so many men around the world continues to be incremental. It is just a matter of time when the net worth of men shall hit the bar of a trillion dollars, but for now, we shall wait and see. The paradigm shift when men started clocking a billion dollars also affected Africa. Some Africa men decided not just to fold their arms and open their eyes to watch men like Bill Gates, Carlos Slim, Warren Buffet and other foreign dollar billionaires pursue their billionaire’s dream, rather they made a momentous decision that did not only made them famous but also showed that the continent called Africa is blessed with assiduous business tycoon. The net worth of Africa’s top billionaires, even when combined together, would simply pale into insignificance with the net worth of America’s top billionaire. To be pragmatic about this; Africa got 23 billionaires in number if their net worth is to be agglomerated or combined; it would form a total of $75.3 billion. The total of the wealth of African richest which resulted from agglomerating their individual net worth does not even parallel Bill Gates net worth, let alone the agglomeration of entire America’s top billionaires net worth. The merging of Bill Gates net worth- $91.1 billion, Warren Buffet- $86.1 billion, Jeff Bezos- $121 billion and Mark Zuckerberg - $74 billion would produce an astonishing or an outstanding wealth of $372.2 billion. This is however not entire America’s billionaires net worth combined together, it was only four America’s billionaires (Warren Buffet, Jeff Bezos, Mark Zuckerberg and Bill Gates) net worth combined. This is a total massacre to the Africans. Let us take a closer look at the structure of our African richest men. You would find out if you would scroll down below that they are twenty-three (23) dollar billionaires in Africa. Majority of the top African richest are doubly coming from South Africa and Egypt. The list consists of eight(8) billionaires from South Africa, five(5) billionaires from Morocco, three(3) Billionaires from Nigeria and a very meager number coming from Tanzania, Algeria, Angola and Zimbabwe. These countries have only one billionaire each. Last year from when this article was written for your perusal or 2017, the number of African billionaires were 25 in number but has suffered a slight diminution or reduction to 23 this year. There was an increased in the total net worth which results from agglomerating their individual’s net worth. The net worth of African billionaires in 2017 was $70 billion which pale in comparison with this year’s achievement of $75 billion. We can clearly see that they were an improvement on the African billionaire’s worth regardless of the drop in number of these fastidious billionaires. It is no doubt that Aliko Dangote, a business magnate has showed qualities of pertinacity and has stand strong and unshakable at the highest peak for seven years in a row. According to Forbes, he is currently with a net worth of $12.2 billion. That’s up $100 million from a year ago. Aliko Dangote still surpasses the second African richest man (Nicky Oppenheimer) emphatically with an interval of $4.5 billion. This is really a gigantic interval. Michiel Le Roux, the founder and former chairman of Johannesburg-listed Capitec Bank Holdings, newly joined the top African Billionaire this year, he has a net worth of $1.2 billion. His arrival boosted the number of billionaires in South Africa from seven to eight. Desmond Sacco has not been on the African billionaire list for a very long time now. He last appeared on the African billionaire list since 2012 with a net worth of $1.4 billion and now he is back again with a net worth of $1.1 billion. Isabel Santos remains the richest female billionaire on the list with a net worth of $2.7 billion. The second female richest African Billionaire happens of be a Nigerian citizen called Folorunsho Alakija whose wealth lies in oil Exploration Company known as Famfa Oil, which is partnered with Chevron and Petrobras on an offshore oil field. Mohammed Dewji, a Tanzania citizen is the youngest on the list, at age 42 (1975). Onsi Sawiris is the oldest on the list, at age 88. He started his company since 1950. Nassef Sawiris of Egypt has an increased in his net worth. According to Forbes, he has a net worth of $5.3 billion in 2017 but this year (1018) he achieved a net worth of $6.8 billion. 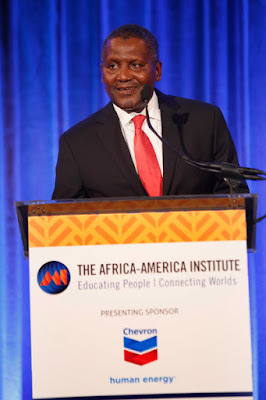 No Response yet for "African Richest Man 2018"